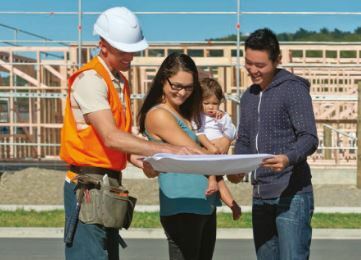 “KiwiSaver HomeStart is about helping first home buyers pull together a deposit with a grant of up to $10,000 for an existing house and $20,000 for a new home. We are adjusting the income and house price caps to take into account increases in both since the scheme was announced so as to ensure it achieves its objective of helping middle income earners into a modest home. “The income caps will increase tomorrow from $80,000 to $85,000 for a single person and from $120,000 to $130,000 for a couple. “The house price caps are being increased from the existing $350,000, $450,000 and $550,000 depending on region to $400,000, $500,000 and $600,000 for an existing home, and to $450,000, $550,000 and $650,000 for a new home. “This reflects the $50,000 increase in the national median house price since the scheme began. We are deliberately increasing the cap for new homes by an additional $50,000 to help drive growth in new residential construction. “The 1 August house caps of $600,000 existing/$650,000 new apply to Auckland, the $500,000 existing/$550,000 new applies to those areas gazetted in the HASHA legislation (Wellington, Christchurch, Hamilton, Tauranga, Queenstown and Nelson-Tasman), and the $400,000 existing/$450,000 new to the other areas of New Zealand. “These increases in the income and house price caps will also be applied to the Welcome Home loans. These loans enable first home buyers to buy with a 10 per cent deposit and because they are government guaranteed are exempt from the loan-to-value (LVR) ratio limits from the Reserve Bank. “A couple who are each on the average income of $60,000 will, after five years in KiwiSaver, now be able to withdraw $45,000 from their KiwiSaver accounts and obtain a HomeStart grant of $20,000 if they’re buying a new build. With this $65,000 deposit, they may be eligible for a Welcome Home Loan, which requires only a 10 per cent deposit, enabling them to be in the market for a new home of up to $650,000. “These changes are about deliberately screwing the scrum in the housing market in favour of first home buyers. These HomeStart and Welcome Home loan changes help first home buyers by giving them a cash grant for a deposit, while the Reserve Bank’s capital LVR changes, effective from 1 September, make it harder for low equity housing investors. “KiwiSaver HomeStart and the Welcome Home Loan Scheme are just part of the Government’s comprehensive plan to meet New Zealand’s housing challenge. We are reforming New Zealand’s planning system and building laws, investing in record numbers of apprenticeships, supporting councils with infrastructure costs and directly building homes through the Crown land housing programme. HASHA areas at present are Wellington, Christchurch, Hamilton, Tauranga, Queenstown, and Nelson-Tasman. A very strange way to curb house price inflation? But not such a strange way to re-direct young people's retirement savings into the pocketses of developers, banks and speculators. Funny the way that's always the case! Kakapo, I was working for the govt. in the 1980's when the first, Labour, version of Homestart was conceived; we warned them then that it would be inflationary and divert directly to the parasites you list - it went ahead, and it did. I was there again in the 1990's when the first, National, version of the Accommodation Supplement was conceived; we warned them then that it would be inflationary and divert directly the parasites you list - it went ahead, and it did. Instant increase for prices in areas outside Auckland. Won't make much difference in Auckland unless you want to live in the lower socio areas and like excitement. Nick Smith - you have just increased existing house prices by $50,000 instantly - give him a round of applause everyone! This will set of a fresh round of price increases in Manawatu, Hawkes Bay, Waikato and Wairarapa and result in caps being increased again before the election. This Jonkey govt have no clues! Yeah mate at the lower end there's massive competition as everyone hits the 5 year mark in their kiwisaver and find they have 30k plus 5-10k grant... and it's just got much worse... not going to do anything in auckland but in places like Palmy full of mid wage workers under 85k and median house prices still around 300k you'll see auctions occurring I predict in pretty much the first time since 2004 2005... only 9% welcome home loans have been used in auckland but they golden tickets in the regions. Pn median to go from 300k to 400k in next 12 months (30% increases) and even then it will still be one of the most affordable mid sized Uni cities in New Zealand. Any person who has no recent or updated knowledge of prices and availability or building material, building services, and tradesmen in general knows that there we are currently suffering of a pandemic shortage of all the above - not only the prices of these materials and services are going up but also the disruption of completing building plans on time and budget are getting seriously out of hand ... so to all people who comment of these matters, get your facts from the market first ... building houses / apartments is anything like online shopping or window browsing ( even if you have the money). Nick Smith's 50,000 increase is catching up with reality and helping FHB out not pushing house prices - which are on their way up anyway by market forces mentioned above. It makes my blood boil to see the breathtaking naivety with this scheme. Why are kiwis so easily manipulated? What other countries in the world are so corrupted that they allow retirement savings to be capitalised into feeding house price inflation? Increasing prices is EXACTLY what these subsidies do. It's part and parcel of the wealth transfer from young to old. It's never enough for these parasites is it? The only outcome here is the taxpayer and the young getting poorer and the landbankers and speculators getting richer. First the hapless FHB has just had their retirement savings pickpocketed. Oh that's okay, the young have plenty of time to save right? Wrong. Go talk to any reputable pension advisor and they will tell you the money you save in your 20s and 30s is worth much much more than anything you save later. Compounding returns over time and all that. Secondly the taxpayer has just forked out money. Did that money actually go into benefiting the FHB? Nope, not really, again its just feeding the landbankers and speculators as the prices adjust upwards to soak up the extra credit suddenly available. But its worse. That taxpayer money and retirement savings are taken to the bank and leveraged into taking on more debt. So multiply the amount by 5x or (more). The FHB now owns, carries and services a massive amount of extra debt and the landbankers and speculators pocket all that extra free money courtesy of National government policy. Whatever the upper limit was set to is now the new price floor for the bottom of the market. Cue a short time later, oh prices have risen, heaven behold, we need to raise the subsidy cap! The cycle continues. The same rort occurs with rental subsidies / housing supplements. They make out like they are helping the poor with the billions of taxpayer money, when they are really just entrenching a price floor for rents, normal working people pay higher rents and landlords pocket the money and laugh all the way to the bank. I wonder if ruddy is actually just visibly embarrassed that its like taking candy from a baby. Maybe some of the decent journalists at interest.co.nz could publish some expert analysis on how much harm or good these subsidies really are? Kiwis are quite deliberately raised to be compliant, uneducated and remarkably unsophisticated. Do as you're told and don't make waves (unless you're connected). Don't stand out (except at sports). Egalitarianism (except for the wealthy). A fair go (except for the poor). It's sad and it does not have to be this way, but the majority are sufficiently indoctrinated into the National Myth that they simply do not want to change anything about the way in which this country operates. At this point, the target is locked on, the red button has been pushed. We are charging inexorably towards our own financial annihilation. There is no longer any good in trying to convince the populace at large: they will not listen. Just detach yourself and wait. You will be vindicated. When the dust has cleared, another magic bean salesman will appear, regaling the gathered villagers of the secret of untold riches and they'll all dive into another "money machine", another "good little earner". It is becoming clear that emigration will - again - be the only way forward for young people in this country. Gen-X left en masse, make way for Gen-Y (and their children).